The two time to-go bottle is a simple and practical travel mug. As we can see from the images, the bottle shows off a low-profile, cylindrical appearance and it comes in three optional colors in order to meet different senses of style. Meanwhile, its smooth exterior and portable profile allow you to easily take it with you anywhere. The main part of the travel mug is made from clear heat-resistant glass and it has enough capacity to hold approx 19 oz of water at a time. 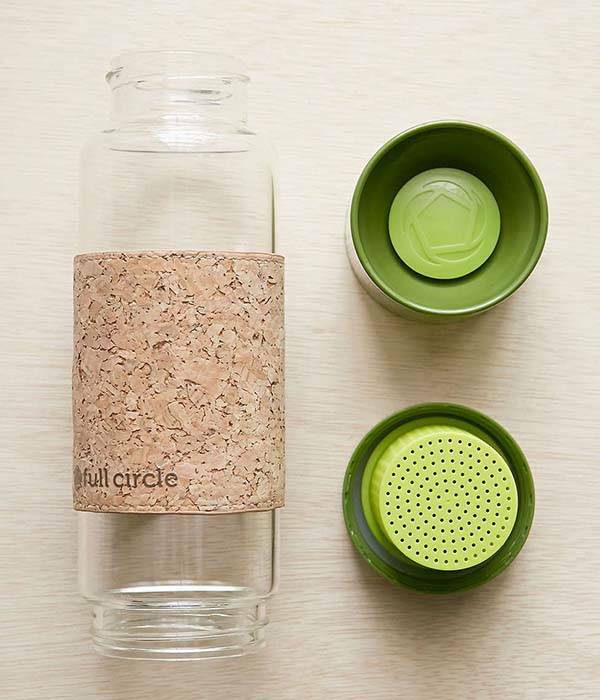 More importantly, the water bottle features a removable silicone tea infuser that can hold loose tea or tea bag, so you can take your favorite tea, hitting the road. 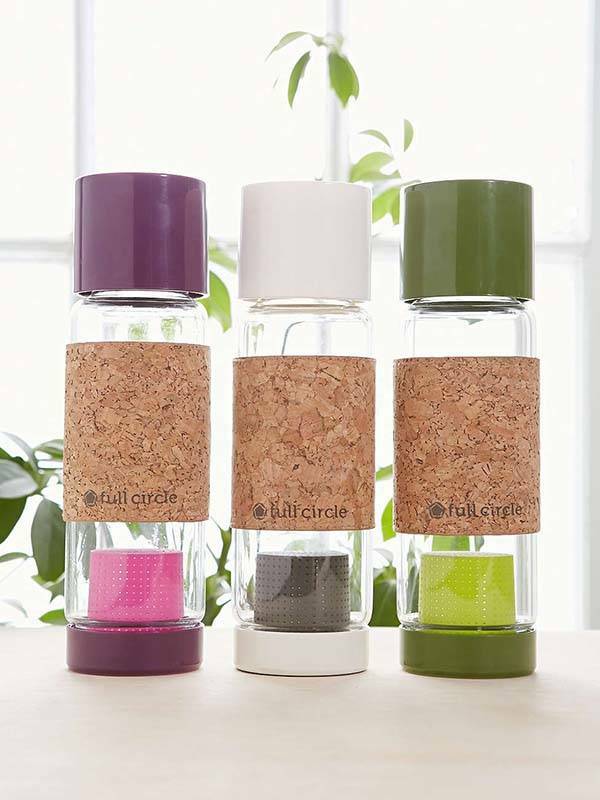 Moreover, a cork sleeve ensures you firmly hold the travel mug on the move. 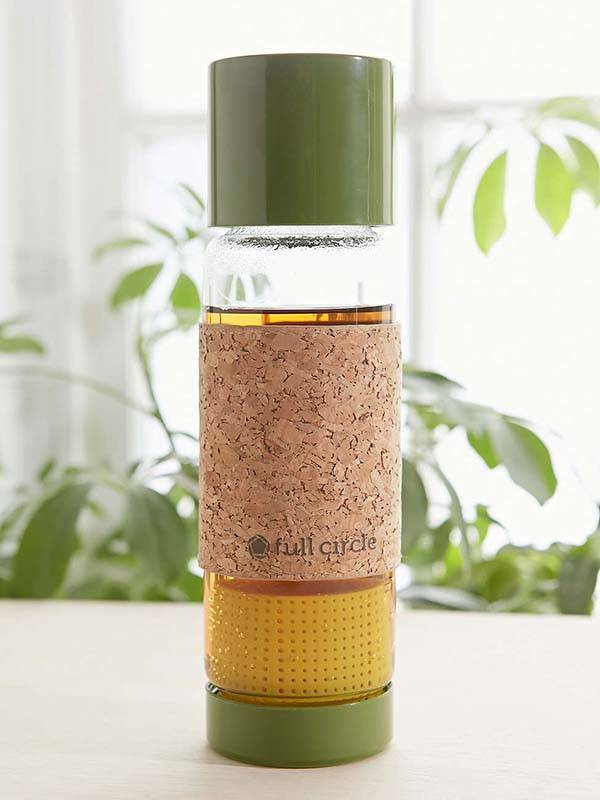 The Full Circle tea time to-go travel mug is priced at $29 USD. If you’re interested, jump to Urban Outfitters for its more details. BTW, also don’t miss the spillproof travel mug and more related cool stuff by following tags.